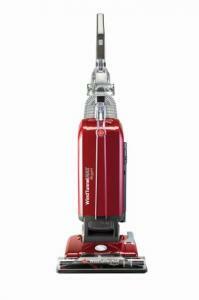 The new Hoover WindTunnel MAX Bagged Upright is amped up with features that matter most to you. 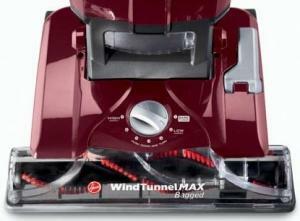 WindTunnel MAX Technology offers 3 channels of suction that remove dirt with less scatter. 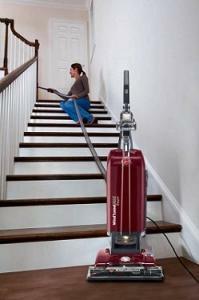 Consumers can clean quickly and efficiently with up to 17-feet of above-the-floor cleaning reach, seven floor settings for every floor type, and a 15-inch wide nozzle that devours anything in its cleaning path. Seven different floor settings will allow you to find the perfect level of cleaning for all of the surfaces in your home, including multiple heights of carpets and hard surface flooring. 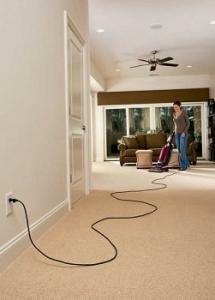 The extra long 30’ power cord will allow you to move through multiple rooms without worrying about finding a new outlet. 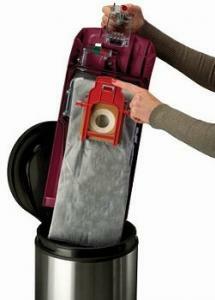 The WindTunnel MAX Bagged Upright takes cleaning to the MAX! For people with allergies, a bagged option offers excellent filtration - the nature of the bag itself keeps dirt contained. The included bags are made with HEPA media, which traps 99.97% of dust and pollens down to 0.3 microns. Requiring minimal maintenance, each Hoover WindTunnel MAX Bagged Upright comes with two bags made with HEPA media that utilize the Clean Drop™ Bag System, which allows homeowners to dispose of a full bag without ever touching it. A performance indicator will take the guesswork out of knowing when it is time to check or change your bags. WindTunnel® MAX™ Stretch Hose – extended abovethe- floor cleaning reach for stairs, window sills, curtains and hard-to-reach areas.